Q:What is your terms of payment9 A:Accept 100% in advance for sample. Q: What is the lead time9 A: 30-35days after sample confirmation. Q:What is your terms of packing9 A: Generally, we pack our goods in neutral cartons. 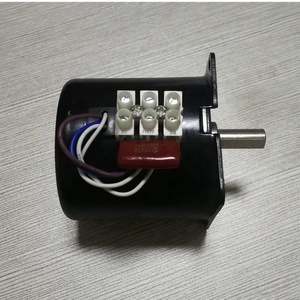 13 YRS Zhejiang Zhengke Electromotor Co., Ltd.
With features of low power consumption, high torque, low noise, small size, light weight, easy to use. 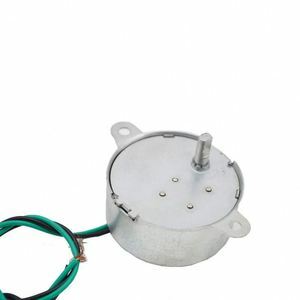 If overload or stall when load, the motor coil will not burn! 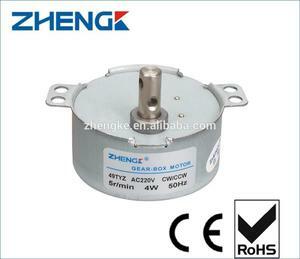 4) When the load reaches the rated torque, the motor will automatically reverse . 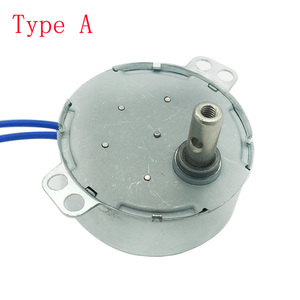 9 YRS Shenzhen B & J Electric Appliance Ltd.
5 YRS Hangzhou Hengbai Gear Reducer Co., Ltd.
5 YRS Ningbo Jant Electrical Appliance Co., Ltd.
Service: With a professional engineer team, we can offer the professional opinions when you want to make OEM products. With active and enthusiastic Sales team, they will be the bridge of you and factory. Our mission is try our best to offer a reliable product with reasonable cost to our valuable customers. 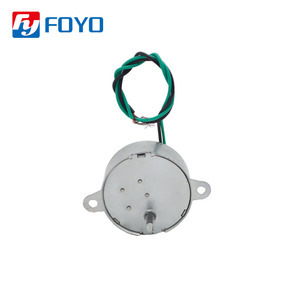 2 YRS Cixi Feiteng Motor Co., Ltd.
2 YRS Shenzhen Xing Dongchang Electromechanical Co., Ltd.
10 YRS Golden Age Electronics Co., Ltd.
6 YRS Ningbo Quanjia Pneumatic Components Manufacturing Co., Ltd.
cm) Their unload speed and loaded speed is the the same. If more data is needed, welcome to contact us! Item No. 4. Q: Could you pack motors as per our request9 A: Yes, off course. 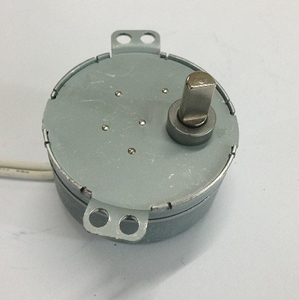 11 YRS Wuhan Zhenguan Industry And Trade Co., Ltd.
2 YRS Guangzhou Yushun Intelligent Technology Co., Ltd.
5.A trial order is ok, and a sample order is welcomed for the goods in stock. 6.Professional Manufacturer in the Windows curtain and blinds series products for 7 years Exporting Experiment. 3. Where is your factory located9 How can I visit there9 A: Our factory is located in Baiyun district, Guangzhou and near the airport. 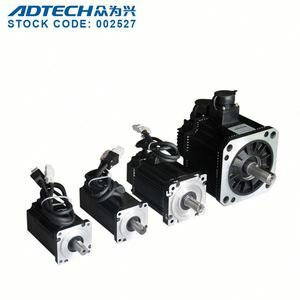 Alibaba.com offers 3,498 synchronous motor gear products. About 74% of these are ac motor, 11% are dc motor, and 1% are speed reducers. A wide variety of synchronous motor gear options are available to you, such as ce, ccc, and rohs. 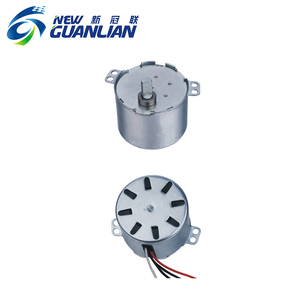 You can also choose from synchronous motor, asynchronous motor, and induction motor. As well as from drip-proof, totally enclosed, and explosion-proof. And whether synchronous motor gear is 208-230 / 240 v, 115/120 v, or 460 / 480 v.
There are 3,498 synchronous motor gear suppliers, mainly located in Asia. 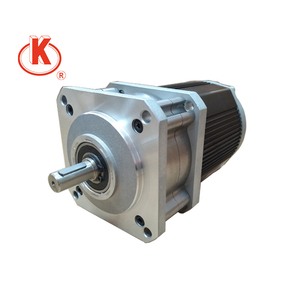 The top supplying country is China (Mainland), which supply 100% of synchronous motor gear respectively. Synchronous motor gear products are most popular in North America, Western Europe, and Domestic Market. You can ensure product safety by selecting from certified suppliers, including 1,196 with ISO9001, 272 with Other, and 189 with ISO14001 certification.